Can you believe I missed National Lighthouse Day? It was August 7, and I just…missed it. There’s really no good excuse. I love lighthouses. 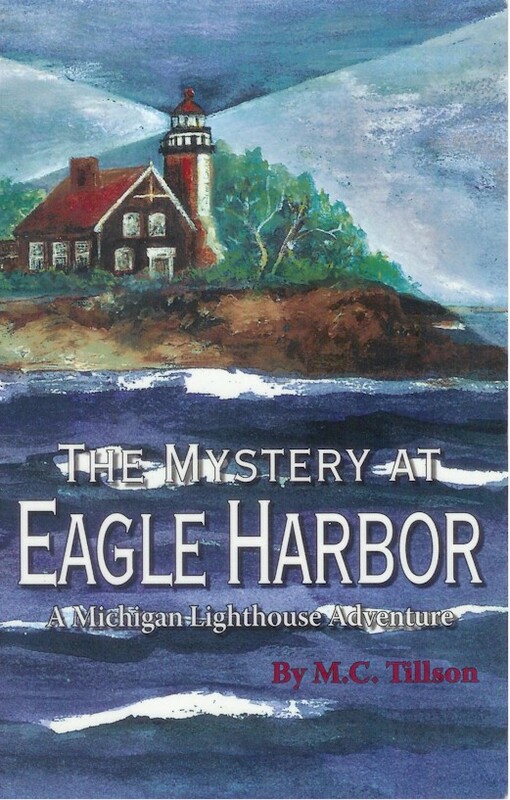 I’ve done a lot of research about lighthouses and, over the past eight years or so, lighthouses have become the subject of six books in my Lighthouse Adventure Series. (Eight if you count the puzzle books!) I can’t believe I missed it. But maybe we could travel back to a couple of days ago…to Friday, August 7, 2015 to be exact. And let’s take a look at what my blog on that day should have been. August 7 is the date that—224 years ago—the U.S. Congress chose as the day to celebrate, appreciate, and generally support lighthouses. In 1789, Congress passed an act that did all of these things. It was signed by George Washington himself. Now back in 1789 there weren’t very many lighthouses. (The very first lighthouse ever in the United States had been built in Boston in 1716.) This law from Congress was very important because it designated money to be used to build and take care of lighthouses.It also approved a lighthouse to be built at the mouth of the Chesapeake Bay. 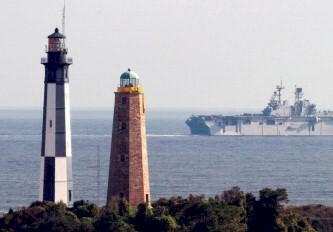 This lighthouse, called the Cape Henry Lighthouse, is still standing today, beside a newer, more visible tower. Almost two hundred years after Congress approved the Lighthouse Support Act, the 1988 Congress declared August 7, 1989 to be National Lighthouse Day. The bill was signed into law by President Ronald Reagan. I will make sure to hug a lighthouse the next time I see one!